Wholesale Black Leather Metal Ball Pens at competitive prices. 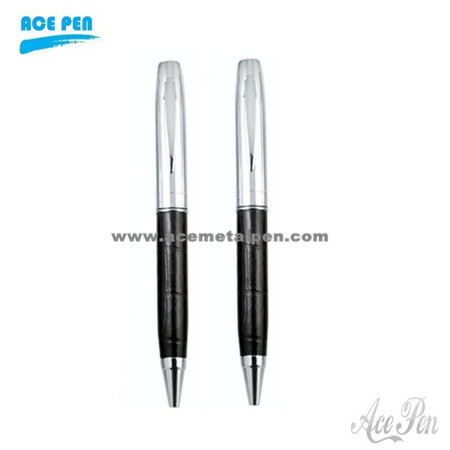 Leather and Metal ball pen with the different material(aluminum or copper or iron or stainless steel or carbon fibre). Different color will be allowed. Printing or laser printing your logo. Excellent quality will be popularity. Good gifts to send your freind and your boss. Mainly customer: Europ,South American,Middle East.Asia. Fashion desgin:we could make the different leather pen with copper,aluminous and the stainless steel and carbon fibre.as your desgin and request to make the different style.